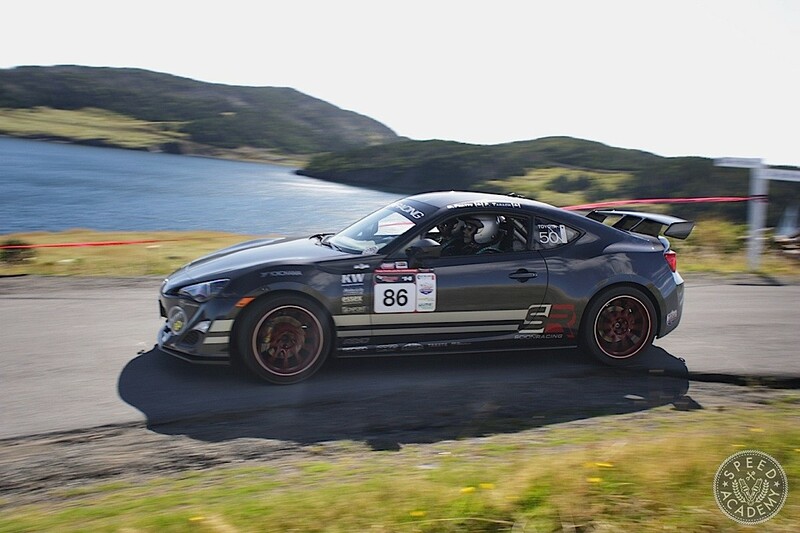 For a lot of driving enthusiasts and racers, entering Targa Newfoundland is the stuff that dreams are made of. 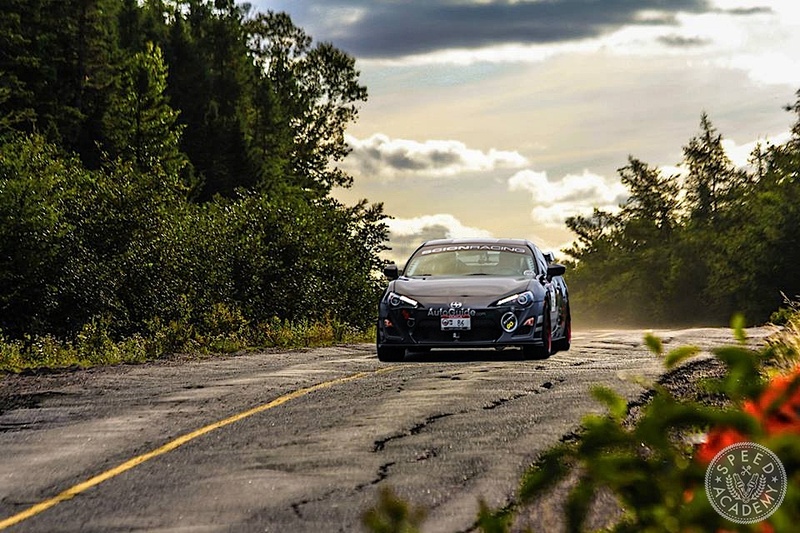 And having lived the dream last year in our Scion Racing FR-S, we can tell you it more than lives up to the billing as one of the most unique and enjoyable motoring experiences on the planet. That said, Targa Newfoundland is also by far the most challenging motorsport event we’ve ever entered, making a race weekend in the Canadian Touring Car Championship or even running in the 25 Hours of Thunderhill seem like child’s play. That’s because there are major logistics challenges including getting your car, spare parts and crew out to the North Atlantic island of Newfoundland, plus for Targa or rally newbs there’s also the challenge of learning how to use the rally computer and provided stage notes as co-drivers, which not only helps the driver stay on course but also gives you a sense of your pace against the target time for each stage. But that’s really a big part of Targa Newfoundland’s mystique, isn’t it? Racing for a week on rugged tarmac roads, often at very high speeds, isn’t supposed to be easy. We certainly learned a few lessons the hard way, so rather than keeping those experiences under lock and key, we thought it might be helpful to write up a bit of a guide about how best to tackle the Targa Newfoundland adventure as a first-timer. This is by no means a definitive guide or the only way to go about your own Targa Newfoundland campaign, but we do hope it helps make the journey a little easier. 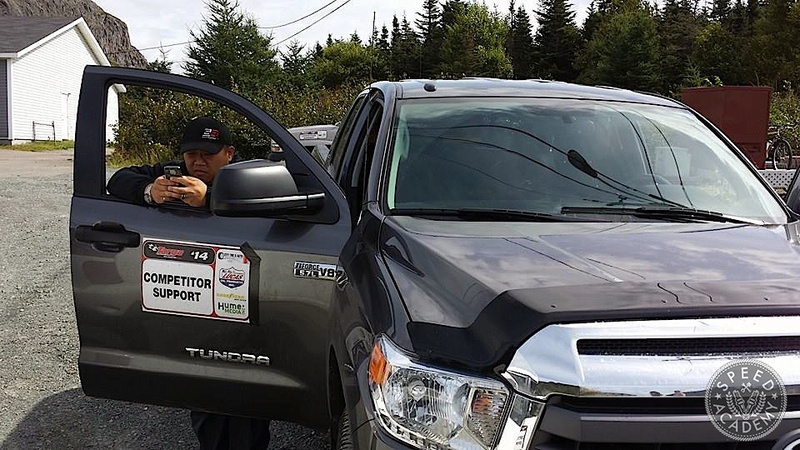 For us the first step was to reach out to the organizers of Targa Newfoundland, with our main point of contact being Targa Registrar and GM Darren Sheppard. Darren is a super responsive and helpful dude, and when he didn’t have the answers we were looking for he was always able to put us in touch with someone who did. 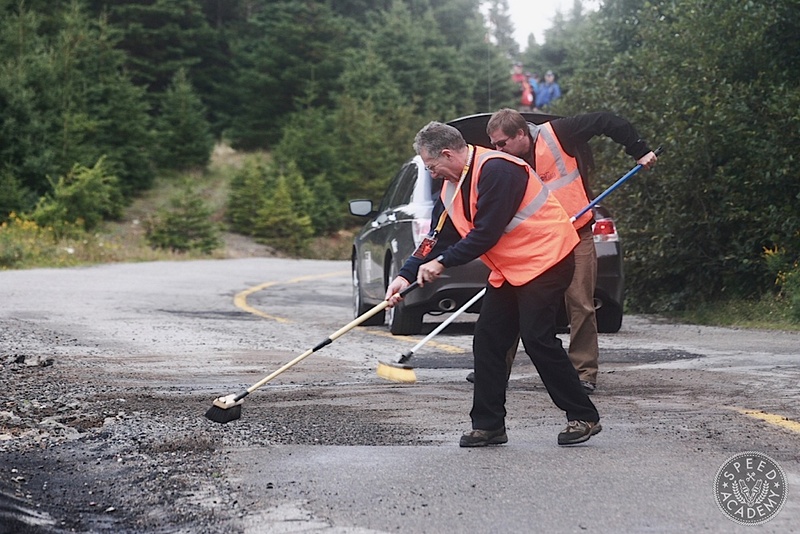 For example, when it came time for us to put together a Press Release about our program, Darren linked us up with long-time Targa competitor and OEM Liaison Doug Mepham (he and Jim Kenzie being the ones who originally dreamed up the idea of Targa Newfoundland, a dream turned into a reality 14 years ago by founder Robert Giannou and his team). 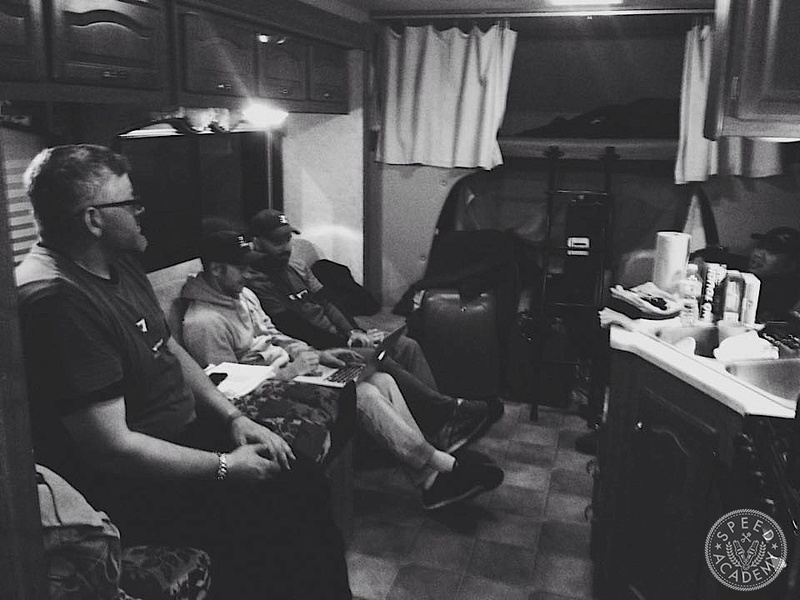 Doug helped us fine-tune our press release, got us the right verbiage to describe the event, and also gave us some great advice about the event itself before we headed east, plus he gave us tons of good advice during the week of racing. He really was a mentor to us from start to finish, and that’s something you won’t easily find in a lot of other competitive motorsport events. Once you get on Darren’s e-mail list, you’ll get monthly Newsletters that update you on all things Targa Newfoundland. That means insider info on how the course for the year is progressing, insights from past and current competitors about their Targa experiences, and details about shipping companies and other Targa logistics issues. 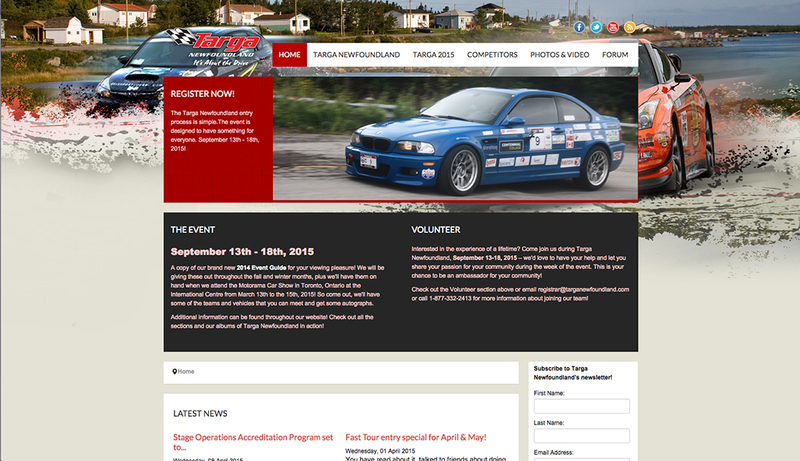 You can sign up for the Newsletter on Targa Newfoundland’s website, plus the News section on their site has lots of great info for new competitors as well. Seeking out veteran teams in your area is also a great idea, and that’s something Darren can also help you with. Sitting down over a beer to hear about all the challenges of running a successful Targa program is well worth the investment in time and barley, and I think you’ll find that most Targa competitors are extremely enthusiastic about the event and more than happy to share what they’ve learned with first-timers. We also made a point of communicating regularly with Targa Tech Inspector Dave Lambert, who even came to our shop to go over the car with us to make sure the roll cage and other safety items were properly installed. Dave was a big help, since any time we had a rulebook question he was only an e-mail away and was always quick to respond. 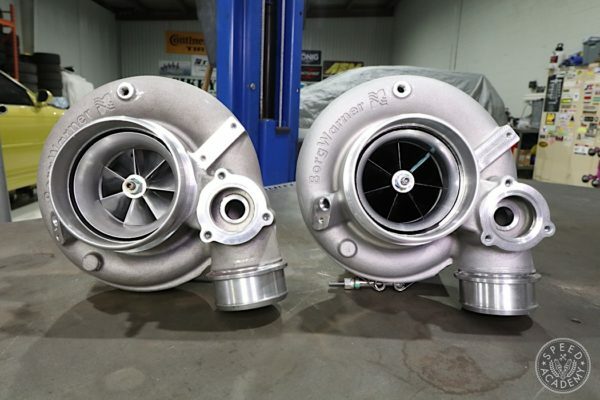 So make good use of this resource, because the last thing you want to do is show up at an event like Targa only to be told you can’t compete because your car failed tech inspection. 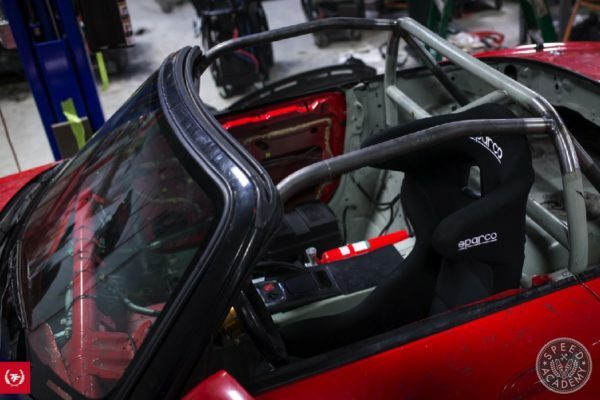 One team showed up with a roll bar rather than a full roll cage and had to get a local fabricator to build the front half of the cage for them the night before the racing began! That’s stress you can and should avoid. Newfoundland is an incredibly beautiful island, but because its well off the beaten path you’re not going to find any discount airfares or cheap and easy ways to get your car and crew to St. John’s where the rally begins. That said, if you plan well and book far enough in advance, you can definitely save a few bucks. I watched the airfare websites closely and bought our airfares (for 5, Peter and I along with Moose our wrench, Vinh our engineer and RV driver, and Dan our videographer) when the prices were best. This saved us at least $1,000, which put Subway sandwiches in our bellies during the week of Targa. And as you’ll spot on the Targa Newfoundland website, if you book the ferry ride to the island well enough in advance you can also save $300 and be assured a spot on the date(s) you need. The ferry books up fast, so don’t expect to roll up the night before the rally starts and get onboard. 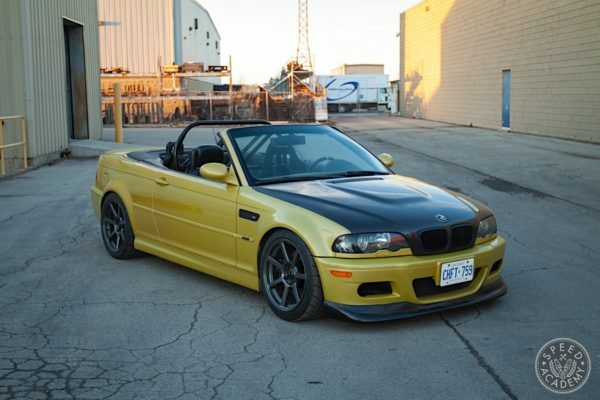 We also researched shipping options for the car and our spares package and tools, getting quotes from several shipping companies before settling on Scott Robbins, a Toronto-based competitor who ships 8 cars out to the event every year in two stacker trailers. This wasn’t cheap at around $3,000 round-trip, but none of the other quotes were much better on price and when you factory in the very expensive ferry ride from the mainland over to the island (around $1000) of Newfoundland, it’s really not a bad deal. Plus you save a week of your life not having to make that very long drive yourself. 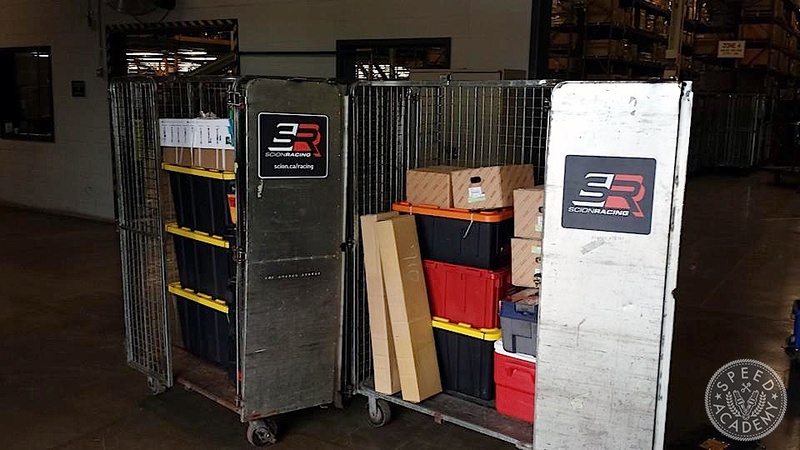 Since we partnered with Scion Canada on our Targa program, we were lucky enough to have them ship our spare parts and tools using Toyota’s internal logistics department. This was a huge help, since they shipped all our gear to Plaza Scion in St. John’s where we’d arranged to borrow a support vehicle (Toyota Tundra) for the crew and a second vehicle (Scion xB) for our videographer. 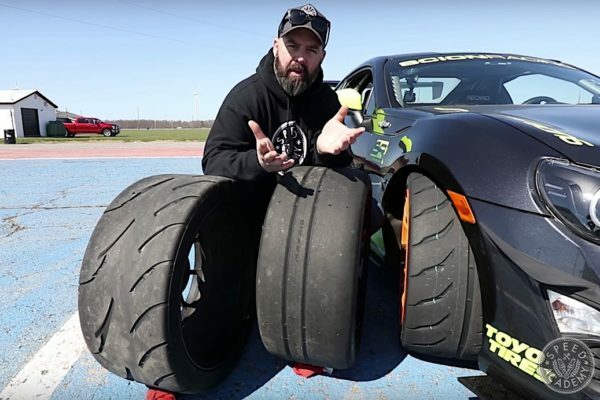 This made the entire experience so much easier for us, but since you’re unlikely to be rolling with a big crew or videographer, you could certainly support your effort with a rental car and a buddy who knows how to wield a wrench. 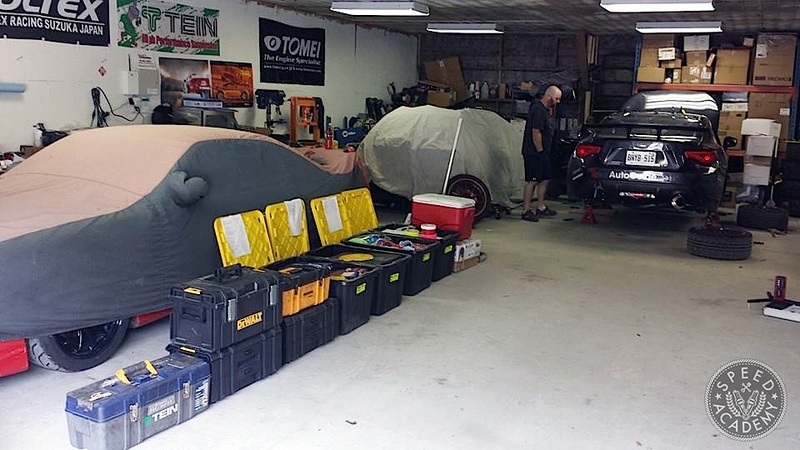 Some teams shared mechanics or hired local support crew, so if you coordinate your effort with Darren at Targa Newfoundland, we’re pretty sure he could put you in touch with other teams or local sources of support. I also booked us a hotel for the night we flew into St. John’s, but for the rest of the week we rented an RV from Islander RV. 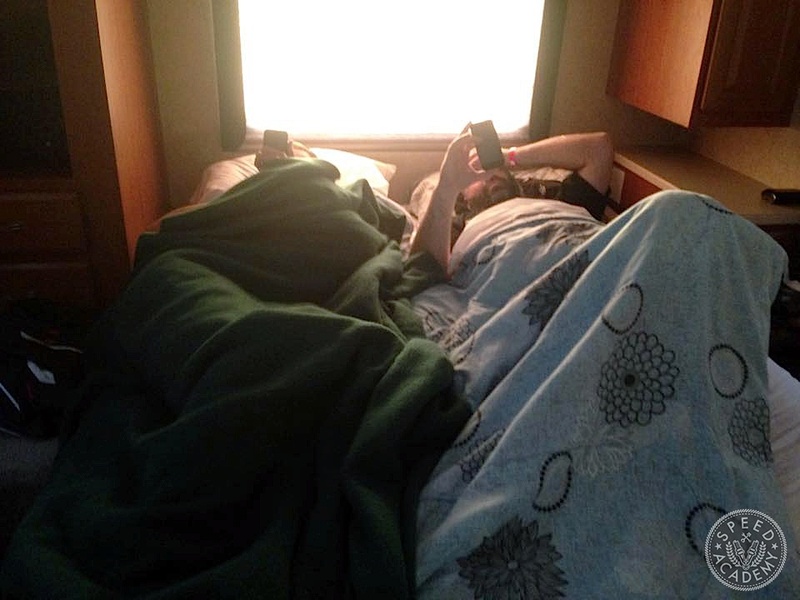 We felt this would be easier than loading and unloading into a hotel room every night as well as lower cost since we’d need 2 rooms every night. In previous years this would have been true since the rally tended to over-night in a different town every night, but last year the rally was organized such that you really only needed hotels in St. John’s at the beginning and end of the rally along with 3 or 4 nights in Clarenville during the week. I did also book us a room for a couple nights at the Wave Hotel in Clarenville, thinking 5 sweaty dudes might want to spread out a bit midway thru this gruelling test of man and machine, and this turned out to be a stroke of genius because I couldn’t sleep worth a damn in the RV, so I shared the hotel room each night with whichever teammate needed a hot shower and a good night’s sleep the most. In hindsight we would have been better off just using hotels instead of the RV, so as long as the rally continues to be organized with just two over-night locations then the hotel approach is undoubtedly the best way to go. 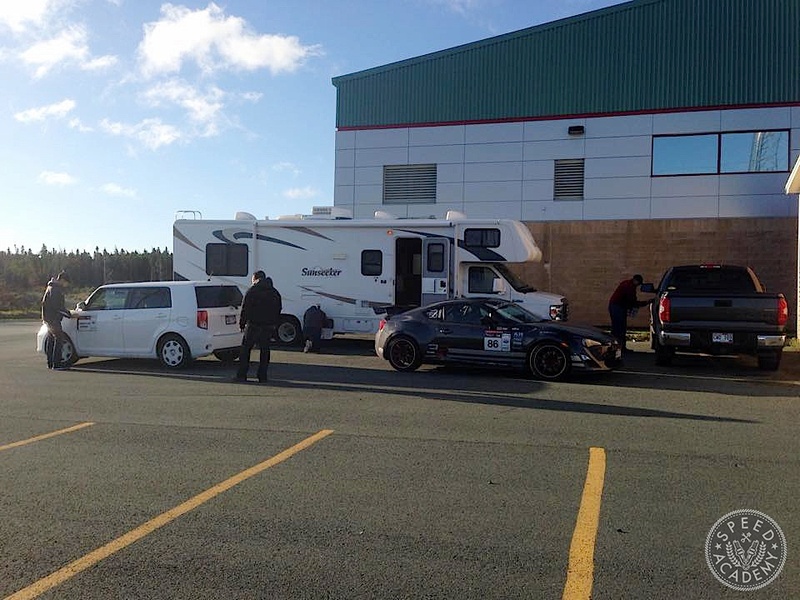 The RV did come in handy as a race team meeting room and foot odour test facility, though. By the end of the week, the stench of man-sweat was caveman-strong. Febreeze could have used it in one of their commercials. Seriously. 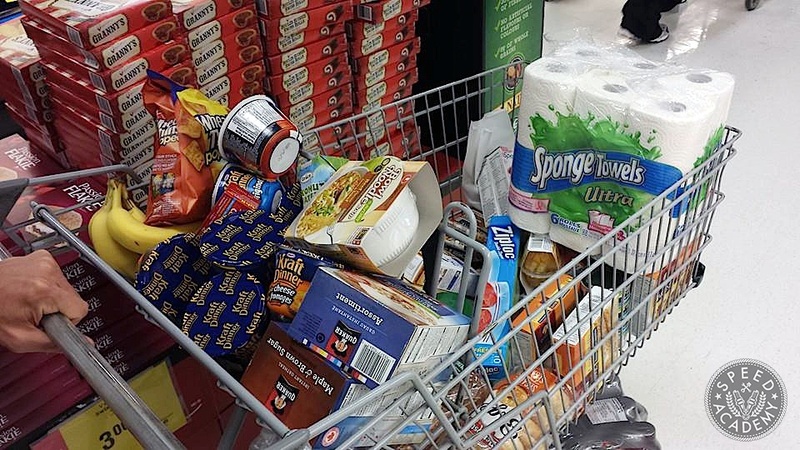 Eating is another challenge we tried to prepare for by stocking the RV with lots of quick and semi healthy options, and like all Canadian provinces it normally wasn’t too hard to find a Tim Horton’s during transit stages. You’ve got to admit, seeing our race prepped FR-S at the drive-thru window at the Clarenville Timmie’s is pretty cool. Still, Dan our videographer was suffering from fast food overload, so we did hit up the local grocery stores whenever we could to get him something a bit healthier. The roads we raced on were often quite rough, with potholes being common sightings at 180 km/h. As well as our car worked on these roads, a testament to the quality components we installed including KW’s Clubsport coilovers and Whiteline’s bushings, a more rally oriented setup would have allowed us to attack the rough stages instead of driving defensively. In hindsight I would have equipped the car with 17” wheels instead of 18” so we had more sidewall to soak up the bumps and potholes, and I would have opted for more of a rally-spec suspension for the same reason. 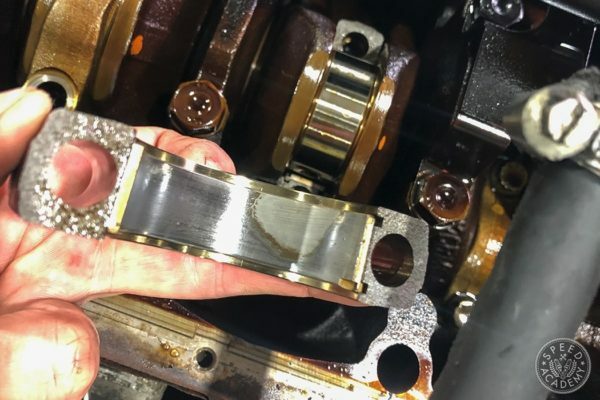 Heavy-duty skid plates to protect the oil pan and rear diff wouldn’t be a bad idea either. It’s also important to understand that you need to carry a spare wheel and tire (or two) onboard as well as a tool kit, jack stands, a jack, a First Aid kit and a few other items, so read the rules carefully and make sure you’ve got all the required gear securely strapped down in the trunk. 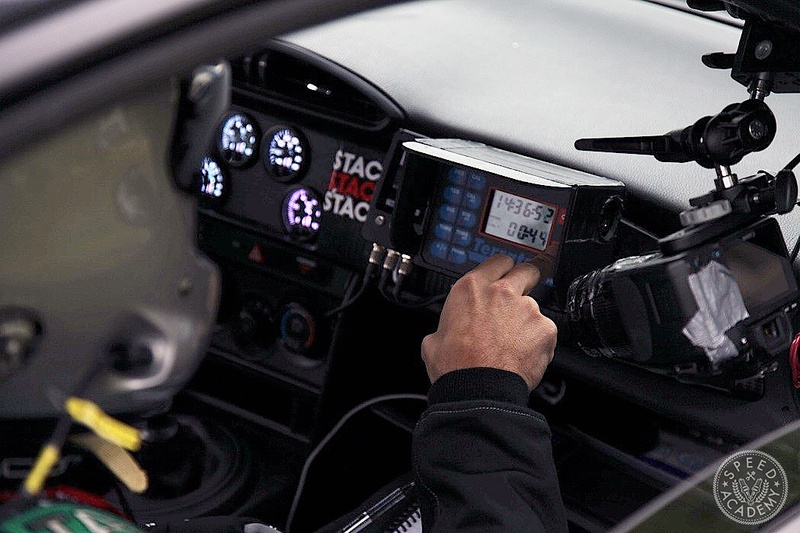 Also make sure you install a rally computer like the TerraTrip we used far enough in advance of the event that you learn how to calibrate it. We ended up calibrated ours the night before the first test stages and it was stressful trying to figure it out in the dark on the side of the road in St. John’s. 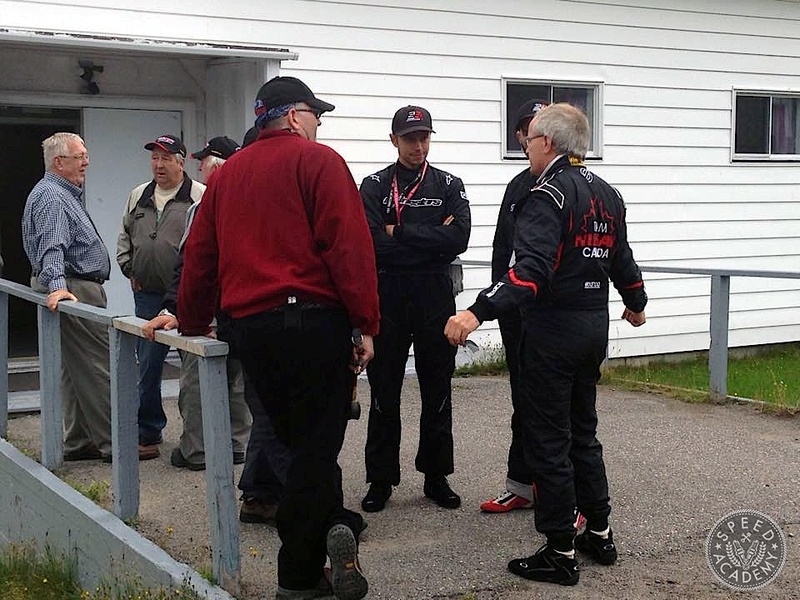 We actually had to call our friend Alan Ockwell, one of the winningest rally co-drivers in Canada, for some guidance. Avoid the same embarrassment and learn to use your rally computer before you ship it to Newfoundland. Taking a navigational rally school beforehand to learn how to use the computer and read rally notes would be time well spent. Or sign up for Targa’s school, which means spending a few days before the racing starts in St. John’s getting schooled in the fine art of co-driving. We would have been a lot more competitive the first couple of days of the rally had we not been learning as we went. A Guide For Living The Dream"
I hope to one day do this! Looks like you guys had a blast!